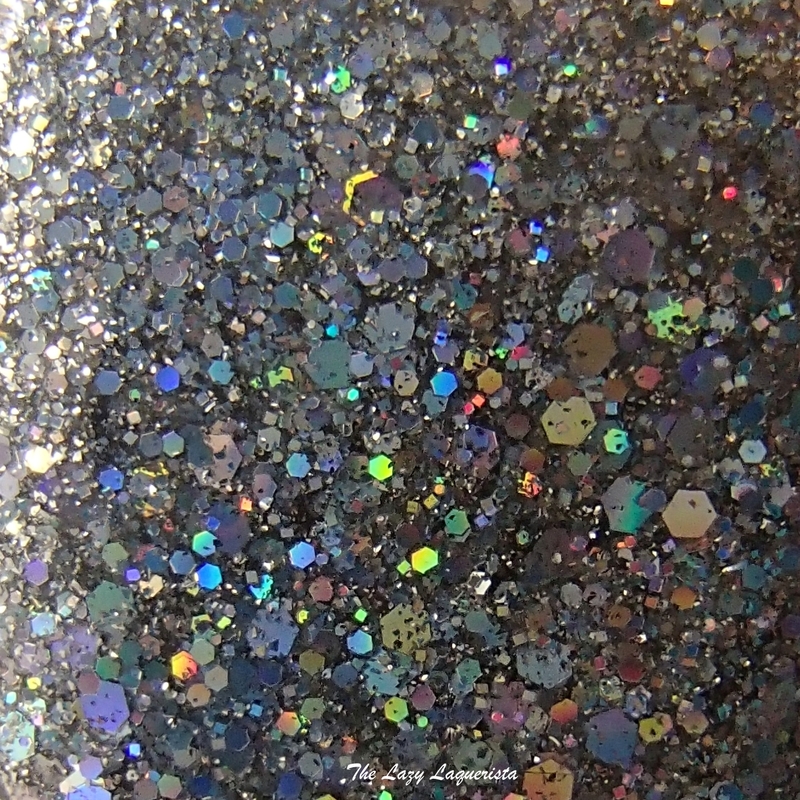 Today I have one of Zoya's magicalpPixie dusts to show you. I wasn't sure about these textured polishes initially because I thought the larger hex glitters may stick up and catch on things. My curiosity eventaully won out though and I gave Cosmo a try. 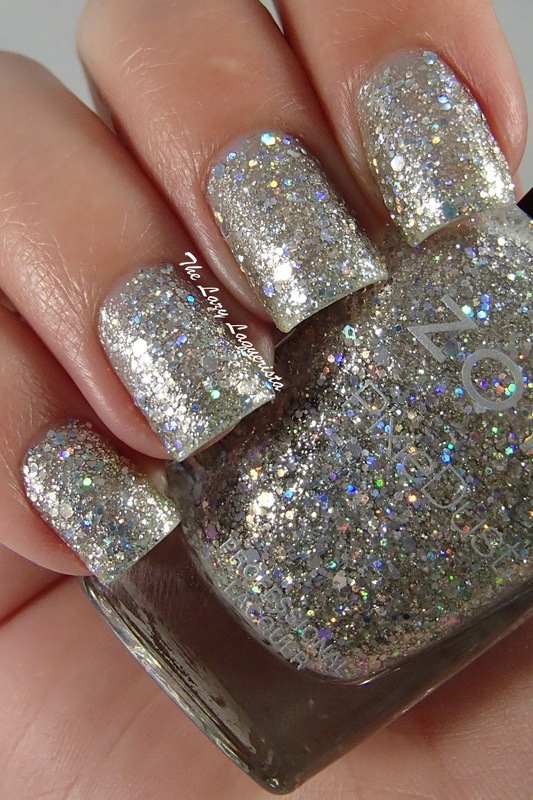 Cosmo feature silver shimmer along with small and medium hex glitters in a clear base. It layers nicely and achieved good coverage after two coats. It isn't 100% opaque and if you look closely you can see the nail like peaking through. The formula was very easy to work with. The only issue I had with this polish was the drying time. I found that though dry to the touch I could still dent the polish over an hour after applying. I have found this among some other textured polishes too however. Photos show two coats of Cosmo without top coat under daylight spectrum lighting. In the end the larger hexes turned out to be just fine. 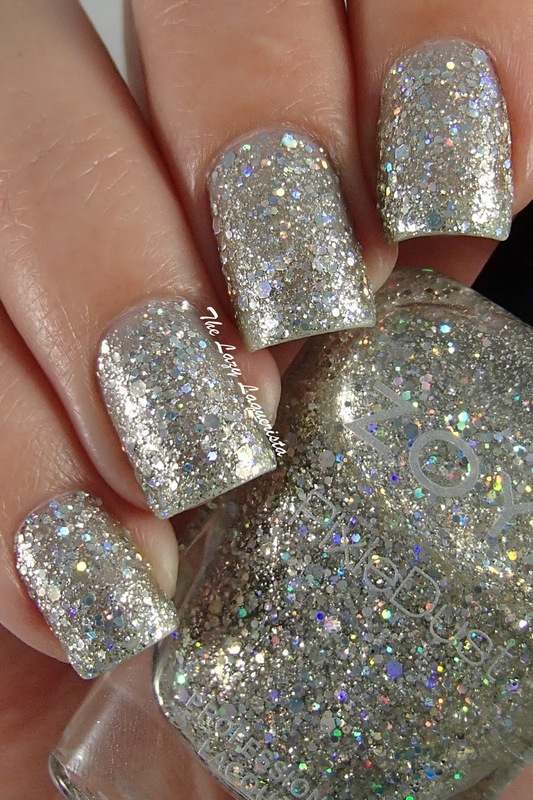 I had no issues with any edges poking up or the polish feeling any more textured than a normal pixie dust. The wear time was also very good. I got four days of wear without any chipping whatsoever. I'll have to give more of the magical pixie dusts a try.